A paperwork violation is considered a non-moving traffic violation, otherwise known as a traffic violation that occurs while the vehicle is not in motion. Paperwork violations are considered civil matters, as they involve the vehicle’s actual owner, whereas moving violations involve the driver of the vehicle and not necessarily the vehicle’s owner. Paperwork violations are one of the three types of non-moving violations, along with equipment violations and parking violations. Specifically, paperwork violations are non-moving traffic violations that involve automobile insurance, registration, or inspection. If you do not have current, valid registration for your vehicle, you are considered guilty of driving without valid vehicle registration. In most states, the penalties for driving a vehicle without valid registration increase the longer the registration has been expired. It is possible, and fairly common, to receive a ticket for expired tabs/registration and no proof of insurance in conjunction. Some states offer grace period benefits, which vary from state to state. For example, Iowa, Oklahoma, and Colorado give you a 1-month grace period for expired registration; Texas gives you a 5-day grace period; and North Dakota does not give any grace period. State laws require drivers to carry proof of insurance while operating a motor vehicle. This includes motorcycles, cars, trucks, and buses. Some states allow drivers to show law enforcement officers their proof of automobile insurance electronically, usually via a cell phone, laptop, or tablet. The 30 states that have adopted these e-card laws are Alabama, Alaska, Arizona, Arkansas, California, Colorado, Florida, Georgia, Idaho, Illinois, Indiana, Iowa, Kansas, Kentucky, Louisiana, Maine, Minnesota, Mississippi, Missouri, North Dakota, Oklahoma, Oregon, Pennsylvania, Tennessee, Texas, Utah, Virginia, Washington, Wisconsin, and Wyoming. Some states require that proof of insurance be carried in the car at all times, however not every state requires motor vehicle owners to carry automobile insurance. North Carolina, for example, only specifies that proof of insurance information be available to trade with another driver in the case of an automobile accident. In Virginia uninsured motorists can pay an uninsured motor vehicle fee to the state instead. Driving a vehicle without proof of insurance can result in a hefty fine, usually between $200 and $1,000 per citation. If you are charged with no insurance or no proof of insurance, our experienced lawyers can help explain your options. SR-22 insurance is a document that shows proof of financial responsibility, required as a result of being caught driving without insurance, being charged with a DUI/DWI or serious moving violation, at-fault accidents while driving without insurance, license suspension or revoked license, and/or repeat traffic offenses within a short period. Usually you are required to carry the SR-22 insurance for a specified amount of time of 3 years, after which point your SR-22 status expires. Failure to maintain SR-22 insurance, when it’s required of you, can result in fines and potential jail time. AsSR-22 insurance is usually required in relation to Driving Under the Influence (DUI) or Reckless Driving charges, it is best to consult with an experienced attorney to make sure you are in compliance. A driver’s license is an official document stating that a person has permission, or authorization, to operate one or more types of motorized vehicles. This includes motorcycles, cars, trucks, or buses. It is important to be sure that your driver’s license is eligible and valid before getting behind the wheel of a motorized vehicle, as failure to do so can result in hefty fines and potential jail time. If you find yourself in this situation, out experienced traffic attorneys can provide you with expert legal advice on driver’s license violations. The most common driver’s license violations are driving on a suspended driver’s license and driving on an expired driver’s license. Driving on a suspended driver’s license, or the suspension of driving privileges, is considered a temporary revocation. Revocation of a driver’s license usually occurs after an offender has committed repeated violations of traffic laws, and is permanent. A suspended driver’s license is a temporary penalty, preventing abuse of a privilege. State statutes strictly prohibit driving on a suspended driver’s license. The penalties for being caught driving on a suspended license vary from state to state. These penalties include substantial fines, up to 1 year in jail, community service time, added license suspension time, increased auto insurance rates, enrollment in alcohol and substance abuse or driver improvement classes, stricter DMV scrutiny, more points added to your driving record (if state-applicable), and possibly a felony charge. Driver’s license suspension and revocation information is shared among all 50 states, so if your driving privilege is revoked in another state you must follow that state’s reinstatement procedures prior to obtaining a new driver’s license. As each state deals with expired driver’s licenses differently, it is best to work with the assistance of an experienced traffic lawyer for the laws in your specific state. The consequences of driving with an expired driver’s license include imposing late fees, required retesting (knowledge, road, and vision), hefty fines, points added to your driving record (if state-applicable), increased auto insurance premiums, arrest, and/or impoundment of vehicle. A grace period is a certain period of time during which you are not subject to penalties; basically a grace period is the amount of extra time that is given to someone to complete the action that they were cited for. In this case, only a few states offer grace periods for driving with an expired driver’s license. Alabama and Iowa offer 60-day grace periods for driving on an expired driver’s license, while Louisiana offers a 10-day grace period and Vermont offers a 14-day grace period. Hawaii offers a 90-day grace period, however Hawaii’s grace period does not include driving privileges. Our expert traffic ticket attorneys can provide you with legal assistance related to citations such as driving with an expired driver’s license. 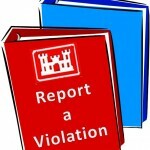 Contact LegalHelpLawyers.com today to receive legal assistance with paperwork violations.